Any injury or damages sustained as a result of a product that you used may render you eligible for a defective products claim. It must be noted that one of the most important aspects of evaluating a product liability claim is determining what types and amounts of damages you have suffered. This article will discuss economic and non-economic losses with respect to defective product liability claims. First, it is important to determine one’s damages right at the beginning because if your injuries are minor and your financial losses are minimal, it may not make any sense to spend the time and energy to pursue your claim. Furthermore, the smaller the potential damage is, the less likely it is that you will find a lawyer who is willing to represent you on your claim. However, this will not apply if the product has caused widespread problems, in which case you may be able to join other potential plaintiffs in a class action lawsuit. According to the Cornell Law School - Legal Information Institute, the term damages refers to “the sum of money the law imposes for a breach of some duty or violation of some right.” Therefore, damages is a sum of money paid to the plaintiff in a lawsuit to compensate for an injury or loss or in order to punish the defendant for wrongdoing. While there may be different types of damages they all ultimately are reduced to a dollar amount that the defendant must pay to the plaintiff. All damages fall into two basic categories: compensatory damages and punitive damages. Compensatory damages are used to compensate plaintiffs for their injuries, that is to say, to restore the injured plaintiff to the condition he or she was or would have been in had the injury not occurred. This is done by attaching a dollar value to each of the injuries or losses the plaintiff suffered. There are two categories of compensatory damages that compensate for economic losses and for non-economic losses. Medical expenses - this includes bills from a doctor, hospital, pharmacy, physical therapist, etc. 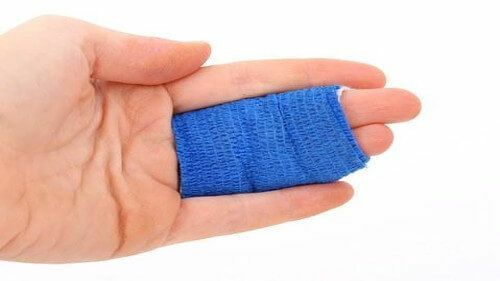 If the injury requires ongoing medical care, it is necessary to demand future medical expenses to cover those costs too. Cost of disability - if your injury requires that you change your lifestyle in some way you may be entitled to any expenses incurred making those adjustments. For example, if someone has to be hire someone to perform household chores. Loss of consortium - if your injuries have a negative impact on your relationship with your spouse, you may be entitled to compensation for loss of consortium or at times called loss of society. Pain and suffering - this is compensation for the pain, anguish or loss of enjoyment of life because of your injury. Seek out the best personal injury attorneys for legal advice.